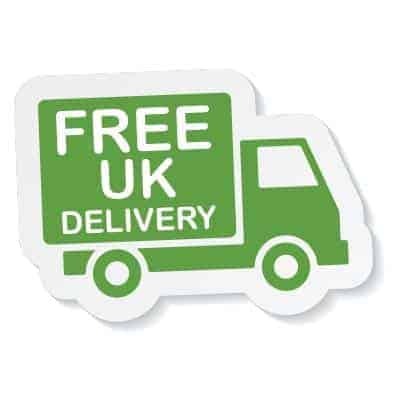 Wise Owl’s Iron supplement includes Molybdenum – vital for iron utilisation. Made using whole food ingredients, so utilised by the body more effectively. ‘Food State’ Iron is a gentle, non-constipating & well absorbed supplement. Suggested dose is 1 capsule daily, so this is 2 months’ supply. Iron is the most abundant mineral in the blood. Molybdenum positively affects the transportation & release of iron in our bodies. The major function of iron is to combine with protein & copper in making haemoglobin. 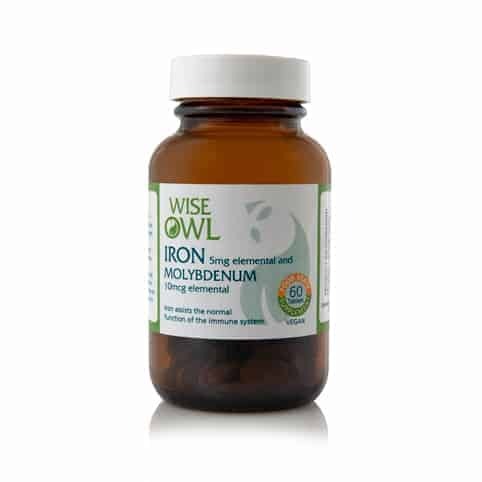 Wise Owl's Iron supplement includes Molybdenum - vital for iron utilisation. Made using whole food ingredients, so utilised by the body more effectively. 'Food State' Iron is a gentle, non-constipating & well absorbed supplement. In a world where our soil is between 55 & 85% less nutrient dense than it was 60 years ago, supplements can have a noticeably beneficial effect on your day to day health. Food State Iron is a gentle, non-constipating and well absorbed supplement. Iron is the most abundant mineral in the blood. Molybdenum positively affect the transportation and release of iron in our bodies. We have included 10µg of Molybdenum in this supplement because it is a vital part of the enzyme responsible for iron utilisation. Iron provides numerous beneficial roles in maintaining wellbeing including enhancing the immune system, energy production, growth in children and resistance to stress and disease. Also involved in respiration as it carries oxygen to all the body cells and is essential for the oxidation of fatty acids. And is found in the brain as a co-factor in the synthesis of serotonin, dopamine and noradrenalin, which are known to regulate behaviour. Formation of red blood cells and haemoglobin. Iron can contribute to the reduction of tiredness and fatigue. Contribution to normal energy yielding metabolism. Contributes to normal function of the immune system. Contributes to normal cognitive function. Contributes to normal cell division. Recommended Intake: One capsule daily as a food supplement or as directed by a practitioner. Contraindications: It is not recommended that men and post-menopausal women supplement with iron unless recommended to do so by a doctor or practitioner. Iron, if taken in excess, may be harmful to very young children. Product Ingredients: Mineral enhanced yeast* providing iron and molybdenum; vegetable cellulose. *Contains no live yeast at time of manufacture.